Available for $1000 dollars per week. Location can be found using Google Maps: Avenida Avlia Camacho 3242, Zapopan, Jalisco, Mexico. Walk to the historic Zapopan square (5 blocks) where you'll find great night-life, markets, restaurants and more. Walk to The Mall (Wal-Mart included) (2 blocks), walk to palm-tree lined jogging trails (3 blocks), and walk to the financial and upscale hotel district (10 blocks). Grab a taxi at the front door (constant service) and it's 5 minutes to Palacio de Hierro and other up-scale shopping and dining at Andares. Another 2 minutes and you're at Universidad Autonoma. Nothing in the city, including historic downtown is more than a 15-minute taxi ride. Pets Welcome--deposit required--returned in full if no damage. 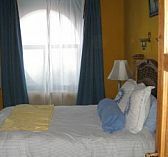 Terracotta tile floors, sunny one bedroom, One bath, LR can double as bedroom (extra large queen double-raised airbed included if you need it). All rooms are large and lovely contemporary design. Bedroom has A/C, although you probably won't need it. There is also heat if you need it. Normally, neither is necessary. 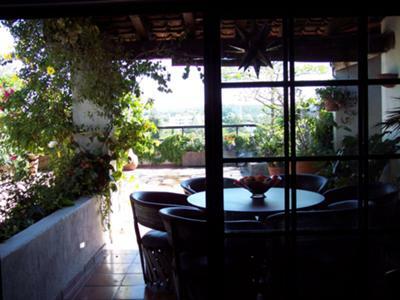 Large (1200 square foot--120 meter) terrace with trees, flowers, pergola, kitchenette, dining area, and fountain that attracts many birds and butterflies, and the most gorgeous view in Guadalajara. 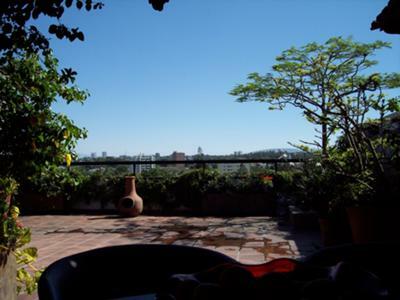 Terrace is totally private, and you can sun bathe in confidence. international cable. There are channels in English such as CNN, FOX, American Network, Sony, WB, etc. but not the traditional big 4 networks from the states. It's OK---there's always something on in English. Pets welcome--there's a spot on the terrace for them to go so you don't always have to bring them outside (it's on the 5th floor). Totally equipped kitchen,, including refrigerator, microwave, gas stove, oven, etc. Very tasteful and chic. A great place to have friends over. You won't want to leave. No large parties, please. There will be gardening service every other day, and maid service twice weekly. If you require more maid service, it would be $20 dollars extra per day. Someone will meet you at the apartment and get you settled in (arrangements can be made to meet you at the airport and bring you in for an extra $75.) We will bring your bags up (there's no elevator, but it's a nice walk-up with no bags). Laundry service is not included, but we can arrange very affordable pick-up and delivery service. It generally runs about $20 for a week of clothes. They do a great job of washing, drying, and folding all of your things. 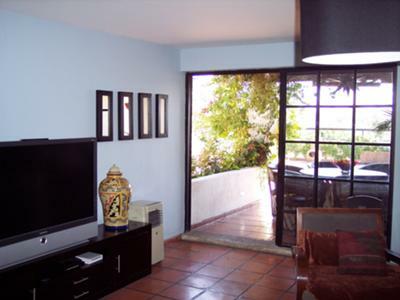 I've lived in Guadalajara for 15 years and will be glad to help you with whatever you need. Please contact me at brown.anna AT gmail DOT com and add the this is regarding the Penthouse Apartment! I am interested in your furnished apartment. Please include a prices for the week or for the month. We need a place for this Monday May 17th. Is it available and would we be able to have a look on Friday?